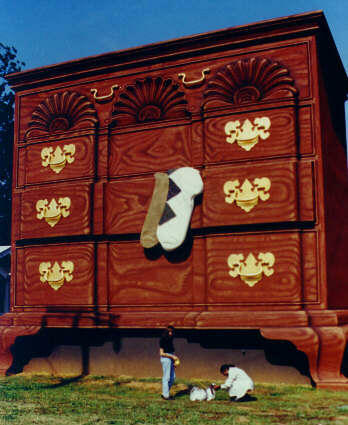 The World’s Largest Chest of Drawers: Housing Chinese Antiques for Market! ….of course this would be in the epicenter of High Point North Carolina, the furniture capital of the world, and Antiques by Zaar is excited to be showcasing product from this infamous landmark during the upcoming Spring High Point Market…..with balance of collection available to view at the ZAAR Design Center @ 220 Feld Ave.
Talk about a drawing card eh? Gotta say I love it. Centrally located at 508 Hamilton, this 38′ tall historical structure was built in the 1920’s and served as the towns bureau of information. 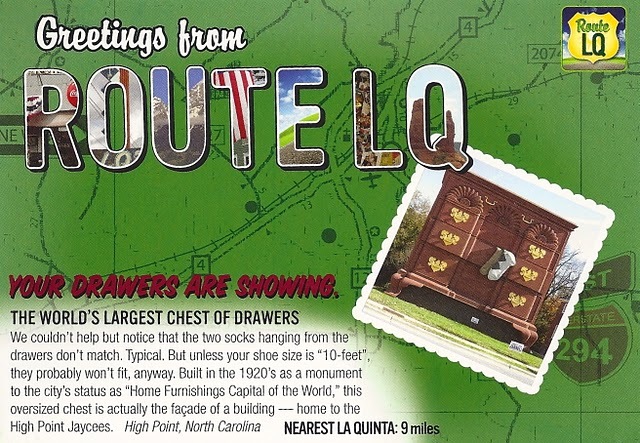 …and has been listed on the map for NC attractions for decades…per below vintage postcard. Currently owned by my friend Pamela Stern, she and I mutually felt that placing and selling the Chinese antiques in the Worlds Largest Chest of Drawers was just what needed to be done for this Spring’s Market….breathing new life into this iconic structure. Pamela, well familiar with Chinese Antiques, and is just about as passionate about them as I am, will be serving as the Antiques by Zaar sales rep during Market….and also serve to answer all your questions about her historical piece of real estate. So, if you’re going to be in High Point next month, be sure to check out how great American history and Chinese history complement each other in this setting….yes, possibly representative of the changing face of High Point? I.E. 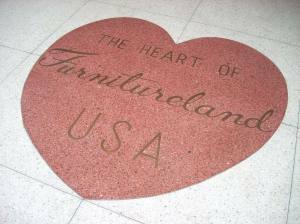 Have you heard about not one, but two Antique Centers, opening up for Market? One in Suites at Market Square and the 2nd on Russell Ave???? Will be open 9:00-5:00 from April 1-7, as will ZAAR Design Center.